Bridging the gap between the spiritual practice of meditation and neuroscience, epigenetics, and quantum physics, today’s expert guest can completely change your life. Our expert guest is an International lecturer, researcher, corporate consultant, author, and educator who healed his body using his mind and meditation practice after a life-changing accident. 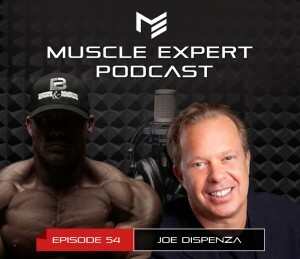 Dr. Joe Dispenza joins Ben today to talk about the steps needed to take control of your mind and live your greatest life. Ben and Joe break down what’s needed to get the most out of your meditation practice, how to experience high levels of focus, mystical experiences and live in the moment. ⇾ Breaking your additions to negative, disruptive feelings. ⇾ Changing your genes in 4 days with meditation. Using meditation to improve longevity and the length of your telomeres. ⇾ High beta brainwaves and how to break free from this state. ⇾ Unraveling emotions from the past so you can start living your ideal future. 1:45 – Joe’s near death miracle story. 11:05 – What to expect the first 30 days of your meditation practice. 13:05 – Turning on your frontal lobe of your brain. 16:00 – Observing thoughts, defining what is the truth and what are just feelings. 18:00 – Change your life with 45 minutes of mental work every day. 20:45 – Are you addicted to anger?